Like Snow White, the PRINCE2 Project Management methodology is built around 7 helpers :-) There are 7 guiding Principles, 7 Project Management Themes leading to 7 Processes. 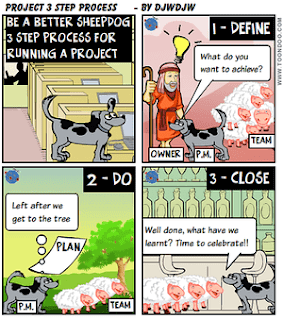 In a series of posts, I want to take you through the 7 PRINCE2 Principles, my views on them aiding Project success and relate these to other posts on the Better Sheepdog site. Let me finish with Principle 7 - Tailor to suit the environment. possibly changing some of the terminology? Change Management - I never log an Issue first before then logging the Request for Change. I have a much simpler approach which I detailed in this post. 99 times out of 100 the "Starting up" and "Initiation" processes become one process - Initiation! Off Specification - I have never produced as part of Issue Management. Each Product should go through a quality assurance process and then be baselined. That doesn't mean that there aren't residual problems but these should be minimised. 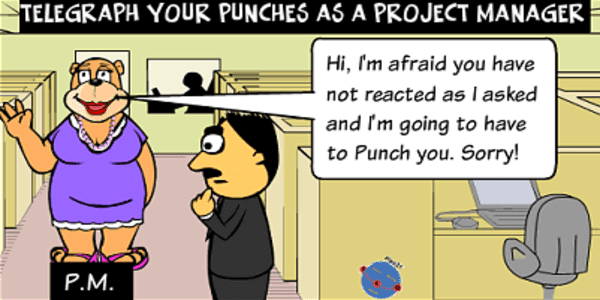 The management of the Project using PRINCE2 is a necessary evil but should be scaled to the size of the Project. If the technical effort of the project is 100 man days you don't really want to be spending 300 days effort on the management! Some organisations love reams of paperwork, some seem to use little documentation. One of the key documents it is always worth having is the Project Definition (PID). 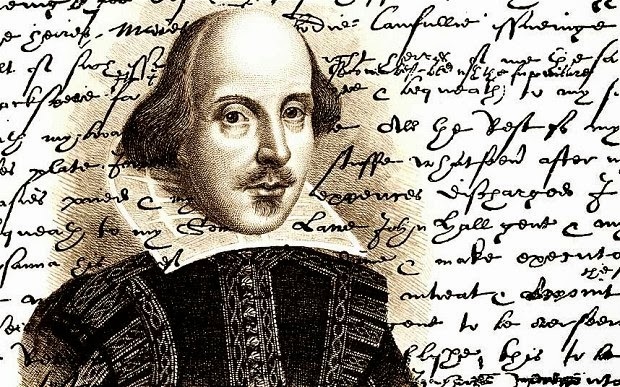 In some organisations these are sizeable Word documents but for smaller projects or "anti-document" organisations, I have a PowerPoint template with the "essence of the definition" and nothing more. This is quicker to produce and more easily digested by stakeholders. In terms of ownership, for a major project with a big investment or critical outcomes, a good well formed Project Board with various participants is useful to govern ensuring good stakeholder representation. But for many organisations or smaller projects, a single Sponsor is quite sufficient. Beware of too much terminology and always be prepared to explain concepts to people rather than just quote PRINCE2 terms all the time. I went into this further in a post about helping the Sponsor in particular. Tailor to suit the environment - this one! 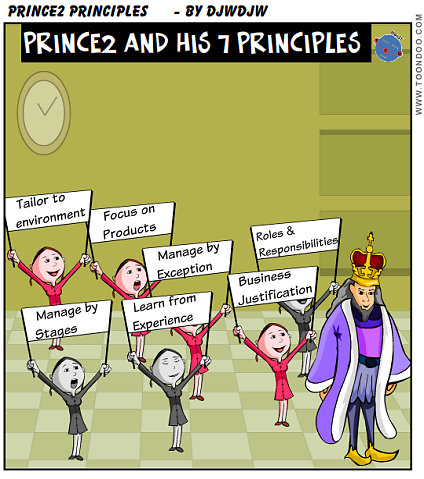 Like Snow White, the PRINCE2 Project Management methodology is built around 7 helpers :-) There are 7 guiding Principles, 7 Project Management Themes leading to 7 Processes. 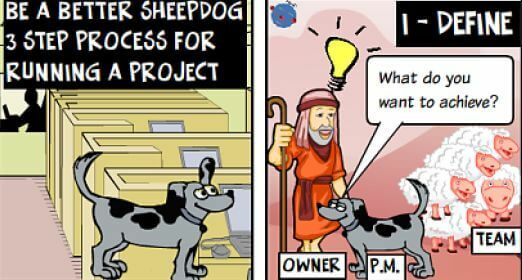 In a series of posts, I want to take you through the 7 PRINCE2 Principles, my views on them aiding Project success and relate these to other posts on the Better Sheepdog site. Let me continue with Principle 6 - Focus on Products. So in English grammar a Product is a noun not a verb. Put more simply you should be able to touch most Products! So PRINCE2 recommends that you commence your planning by considering the Products to be delivered. It suggests a number of techniques to adopt including a Product Breakdown Diagram (not Work Breakdown!) and Product Flow Diagram. For more detail, have a read of the post on Product Based Planning. Is the Product properly understood? PRINCE2 also suggests you spend effort defining in some detail, the characteristics of each Product. While this is a powerful technique, I look to short cut in a number of ways which I cover in the post on Product Descriptions. This should also cover how we assure that the Product is of "fit for purpose" quality. For intermediate Products I prefer to address this via a Quality Plan which I covered in this post. For the final Product(s), this is so important that the Quality acceptance criteria should be covered in the Project Definition. Focus on Products - this one!